PACER boosts your creativity by providing hands-free control of your DAW, MIDI guitar soft- or hardware as well as channel- and FX-switching on your trusted analog amp. All integrated into one rugged and stage-ready foot pedal with 10 programmable LED foot switches, 4 switching relays and connections for up to 4 external foot switches and 2 expression pedals. 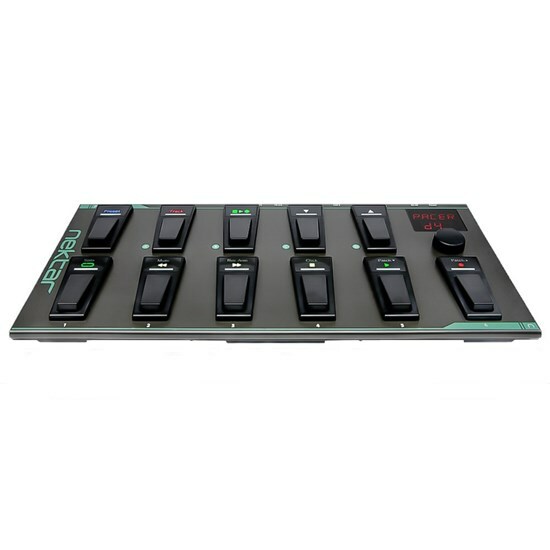 That's a lot of switching power right at your feet: With just one press of a button, you can send up to 16 MIDI and relay messages to reconfigure a setup instantly. 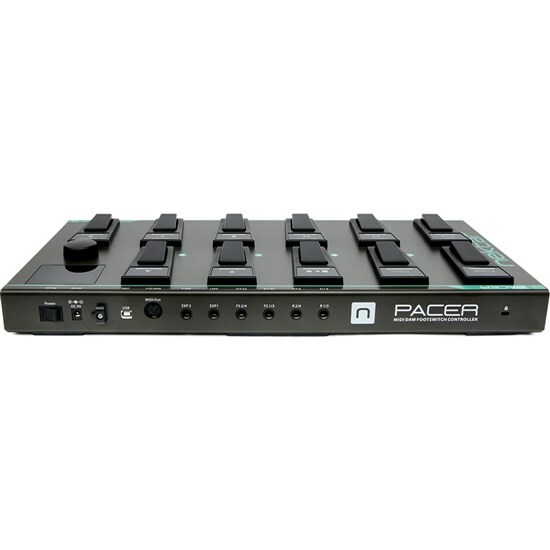 Step up your pace with this powerful MIDI DAW Footswitch Controller! 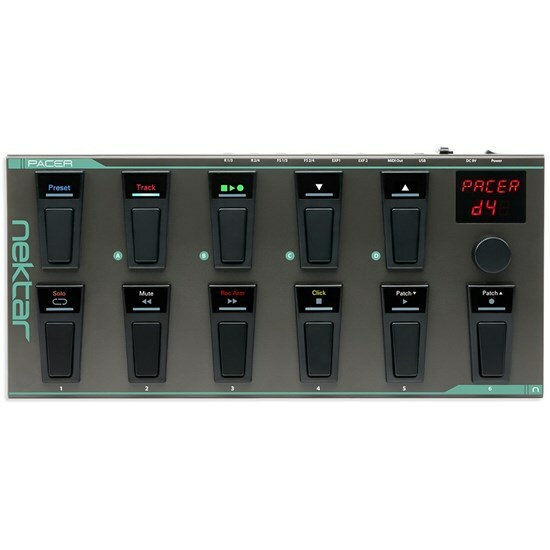 Pacer's programming options are extensive. In the most basic state, a switch can send a MIDI message or change a relay state. But being able to send MIDI messages in a sequence of steps, takes the usefulness of a preset to another level. Use one switch to step through program change messages during your song and the other switches are free for FX on/off control. 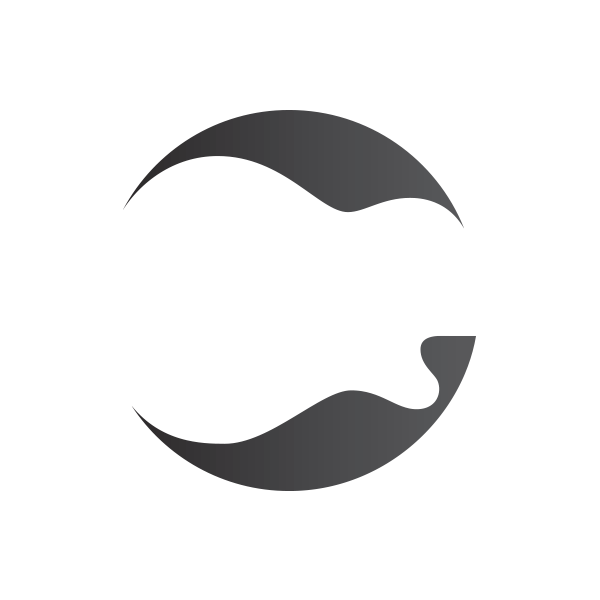 Or switch your amp channel, start playback in your DAW and change program on your effects rack, all by just pressing ONE button within the same preset.